You might not think of paranormal activities being something that regular people experience, perhaps you imagine these things belong in the lives of psychics and mediums only or in the land of television… Well, in fact, paranormal occurrences quite readily happen in everyday lives, so it is quite possible you have already experienced one of the five we are going to talk about today, or at least you might experience one of them in your lifetime! You most likely have had dreams that you can remember, but precognitive dreams vary to normal dreams, in that a person is able to perceive of information about certain events before they happen whilst in a dream state. You do not have to have psychic abilities, to have a precognitive dream, most of us have the ability at some point to have insightful dreams and visions through the power of ESP – extra sensory perception. You may well have experienced a dream like this, and when the dreamed about event occurred, you most likely put it down to coincidence, and perhaps you felt like there was a ‘déjà vu’ moment! Others will take such dreams more seriously, and will use the information to change paths, thereby heeding the advance warning and potentially changing the future outcome. Obviously, a near death experience is a much rarer occurrence, and not one that you would wish to experience, but there are some circumstances, such as an accident or operation where people for a small window of time get a glimpse of what’s on ‘the other side’. NDE’s are often described as feeling like levitation, with a sense of pure peace and serenity. Often a bright light is present, in other cases people see everything from deceased loved ones to religious figures, but for others it is like they are having an ‘out of body’ experience, as if they are watching themselves in real-time. Many of us will be able to tell of a time when we have felt a spiritual presence in our lives, whether we choose to call that or believe it is a ghost, angel or a loved one’s spirit is for each of us to decide. But generally, in these encounters, the spiritual force has found a way to communicate with us, and to let their presence be known. This can range from a feather dropping from the sky, to cold spots appearing in and around your home, to having a goose bumps feeling across your body. 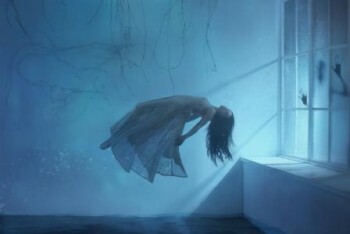 An ‘out of body’ experience is the easiest way to describe astral projection, you are seemingly out of your physical body, but are consciously aware. For many this will happen whilst meditating, or when communicating with a higher realm, but again is not limited to psychically gifted individuals. Many people feel like they are/could literally fly during the experience, they may meet those from another realm and feel like they have achieved a different ethereal perspective. Given a unique set of circumstances, you may experience psychic empathy, an ability to feel and sense the physical pain and emotions of another. Twins often have this ability, but it is also often demonstrated between close family members, when they have a sixth sense that something is wrong.